The Chief Rabbinate of England is an institution that first arose in the 18th century, initially evolving from the Rabbinate of The Great Synagogue in London, and gradually extending its influence to encompass both Britain’s provincial Jewish communities and those across the British Empire. 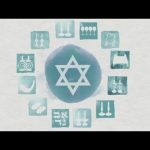 That it evolved independently of a secular power, rather than being instituted by civil authorities, marks it out as unique within the European Rabbinates. 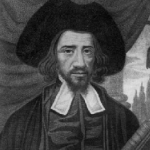 With Oliver Cromwell having been successfully petitioned to re-admit Jews to England in 1656, a steady stream of first Sephardi, and then Ashkenazi Jews slowly began to establish communities. This resulted in the first Ashkenazi synagogue in London, The Great Synagogue, being established in Duke’s Place in 1690. It was not until the final decades of Aaron Hart’s incumbency that the office of ‘Rabbi of the Great Synagogue’ became synonymous with that of ‘Chief Rabbi of Britain’, with provincial Ashkenazi communities, members of which often had links to London congregations, voluntarily subscribing to his spiritual authority. 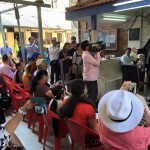 He provided answers to Halachic enquiries, accreditation for Shochetim and issued marriage licenses to his spread-out disciples. The new title also evolved from a communal desire for official representation, akin to the Archbishop of Canterbury’s role in Church life. 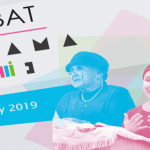 Unanimous recognition of the position’s dual nature did not occur until 1758 however, when the Hambro synagogue – an early 18th century breakaway faction of the Great – acknowledged the authority of incoming Great Synagogue Rabbi Hart Lyon. This concord was short-lived, as disagreements between the two London communities over the selection of the next Great Rabbi led to the Hambro installing their own Rabbi in 1765, a one Israel Meshullam Solomon, who (unsuccessfully) bestowed upon himself the mantle of Chief Rabbi of the British Ashkenazi population. The schism even divided the prominent provincial community of Portsmouth for a time, but following Solomon’s departure from England in 1780, the Chief Rabbinate once again became a mutable institution, recognised by all provincial communities as the unequivocal heart of English, and later Imperial Jewry. 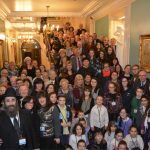 Since then, the British Jewish community has evolved beyond the auspices of the United Synagogue (instituted in 1870 to unite Orthodox congregations) with younger movements not officially recognising the Chief Rabbi as their representative. Nevertheless, Chief Rabbi Mirvis maintains healthy relations with their respective leaders in his bid to unite British Jewry. 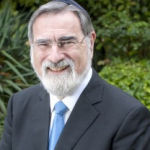 An accomplished intellectual holding multiple academic and honorary degrees, and a regular contributor to TV and radio, Jonathan Sacks undertook his rabbinic training at Jews College and Yeshiva Etz Chaim. 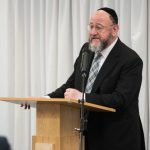 Before assuming the title of Chief Rabbi, he served Golders Green synagogue and then Marble Arch synagogue as rabbi, as well as heading Jews’ College as Principal. 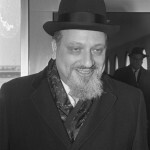 To the Chief Rabbinate he brought visions of a revitalised Anglo-Jewish community, advocating the enhancement of educational, outreach and community development opportunities – an aim duly realised with the establishment of more synagogues, Jewish schools and improved welfare facilities. Sacks called on Jews to respect others’ differences, both in the name of interfaith and internal communal ties. He still serves as an authority on religious and philosophical matters, and has garnered critical acclaim for his written output. Immanuel Jakobovits had come to England as a teenage refugee, and had served as Chief Rabbi of Ireland and in New York. 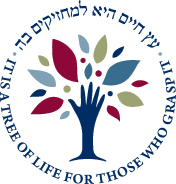 He had written his doctorate on Jewish Medical Ethics, now an established academic field of which he was largely the founder. Beginning his Chief Rabbinate in a community obsessed with the pursuit of unity, Immanuel Jakobovits deftly defused the issue and then placed Jewish education firmly at the top of the communal agenda. His tenure saw an enormous expansion of Jewish Day schools, as well as a resurgence of adult interest in Jewish learning. A tall impressive figure, once described by a non-Jewish admirer as having the presence of Moses, he confidently and eloquently stated the Jewish view on issues affecting British society, and brought a religious perspective to areas previously regarded as being beyond the purview of clerical (let alone Rabbinical) comment. During his tenure, the Chief Rabbinate moved from merely parochial influence to one affecting British life as a whole, while Jakobovits' previous experience in America gave him and his office a pre-eminence on the world Jewish stage that his predecessors had not enjoyed. The friend and confidant of Prime Ministers, he was knighted in 1981, and raised to the peerage as Lord Jakobovits in 1987. He retired in 1991 and died unexpectedly in 1999. In the mood prevailing after the end of the Second World War, the choice of Chief Rabbi fell on a man perceived to be of broad tolerance and impeccable English antecedents. Israel Brodie was born in Newcastle, educated at Oxford, had served as Rabbi in Australia, was evacuated from Dunkirk, and had finished the War as Senior Jewish Chaplain. Preferring persuasion to confrontation, he led the community through the difficult days caused by the end of the British Mandate in Palestine, and presided over the post-war expansion of the United Synagogue. A dignified man of great presence, he was also a mellifluous preacher. Through the Conference of European Rabbis, which he founded and led, Brodie took a significant part in rebuilding the religious life of European Jewry after the Holocaust. Brodie undertook a number of pastoral tours throughout the Commonwealth, and strengthened the community in a quiet but significant manner, although the closing years of his tenure were overshadowed by religious dispute. On his retirement, he was knighted "for services to British Jewry"; the first Chief Rabbi to be so honoured. The new realities of the community were reflected in the choice of Hermann Adler's successor. J H Hertz, educated in America, had served for some years in Johannesburg whence he had been deported by the Boers for being pro-English. The First World War broke out soon after his appointment, and its problems and opportunities dominated the early years of his tenure. His thundering and courageous support for the Zionist movement led to a decisive intervention in May 1917 during the negotiations leading to the Balfour Declaration, while concern for the pastoral well-being of Jewish troops caused Hertz to write "A Book of Jewish Thoughts", the first of his major literary works. In 1920 the Chief Rabbi undertook the first pastoral tour of Empire Jewry, which included some 42 communities in South Africa, Australia, New Zealand and Canada. The prestige that accrued both to Hertz and his office was immeasurable, and in due course he was made a Companion of Honour. Hertz' most lasting monuments are his English commentaries on the Pentateuch and Prayer Book, conveying Jewish traditional interpretations in a way accessible to all; they remain his major contribution to Jewish scholarship and his best known works. He was quite a dominating figure both in public and in private; it was famously said of him (by one of his ministers and in his presence) that he never neglected the peaceful solution to any problem when all other means had failed! 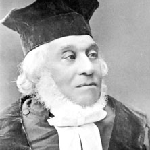 Described as a "Patrician English Gentleman", Hermann Adler began in 1879 to preside over a community that revelled in its Englishness and the social gains that it had brought. The United Synagogue under his leadership developed a distinctively English style of Orthodoxy, broad and tolerant while maintaining Jewish observance in its fullest details; Theodor Herzl described a dinner at the Adler's as being "everything English, with the old Jewish customs peeping through". 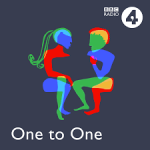 The great immigration from Eastern Europe that began in 1881, brought to Britain large numbers of Jews who in almost every way were different to the existing community, and at first shared little of their attitudes and aspirations. Adler led the existing community in making provision for the immigrants and in acclimatising them to English life. At the same time, Adler's description of the emerging Zionist movement as "an egregious blunder" served to point up the differences between the established and acculturated community and the aspirations of the immigrants, and his influence and authority over the ultra-Orthodox sections of the community was tenuous at times. The Chief Rabbinate of Solomon Hirschell had seen major changes in the community. Jews were beginning to integrate into English society, taking their place (among other areas) in municipal academic and legal spheres. It was felt that the new Chief Rabbi should be a University graduate as well as rabbinically trained. 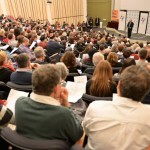 The conference making the appointment included representatives of 19 Provincial communities as well as the five existing Ashkenazi communities in London, and after an election Rabbi Dr Nathan Marcus Adler of Hanover was appointed. Nathan Marcus Adler soon underlined the authority of his office by issuing a booklet of Laws and regulations "for all the Ashkenazi Synagogues in the British Empire". 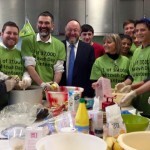 He was the first Chief Rabbi to undertake regular pastoral tours within the United Kingdom. During his Chief Rabbinate, the emancipation of Jews within the United Kingdom was completed. 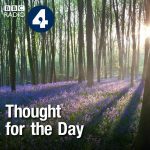 Baron Lionel de Rothschild took his seat as an MP in 1858, his son was raised to the peerage as the First Lord Rothschild in 1885, while Sir David Salomons became the first Jewish Lord Mayor of London in 1855. In 1866, Adler urged the lay leaders of the three City Synagogues - the Great, the New, and the Hambro", and their branch synagogues at Great Portland Street and Bayswater, to form the United Synagogue, established by Act of Parliament in 1870. 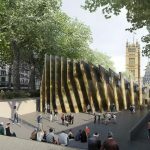 This union, still the largest religious grouping within the British Jewish community, and taking its religious authority from the Chief Rabbi, would not have come into being without the prestige and encouragement that Adler lent to the proposal. Adler's health deteriorated in 1879, and his son Hermann Marcus Adler was appointed delegate Chief Rabbi to carry out the duties of the office. When Nathan Marcus Adler died in 1891, Hermann succeeded him as Chief Rabbi. After the death of Tevele Schiff, the Great Synagogue left the post of Rabbi vacant for ten years. In 1802 they appointed Solomon Hirschell, son of Hart Lyon and a well-known scholar of the day. Although the appointment was made only by the Great Synagogue, his authority over the whole of Ashkenazi Jewry in Britain and the emerging Empire was unquestioned from the beginning. A contemporary painting shows him, tall and commanding, a clear figure of authority, and an engraving of the painting describes him as "High Priest" of the German and Polish Jews. 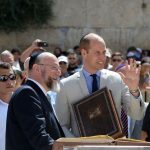 Early in his Rabbinate, prayer books began to appear with English translations, and his status was enhanced by a formal visit of the Dukes of Cambridge, Cumberland and Sussex, sons of George III, to the Great Synagogue in 1809. In Hirschell`s tenure the practice began of issuing Orders of Service for national occasions, and he was the first Chief Rabbi to preach in English. In 1830, Solomon Hirschell sent one of his Dayanim (Religious judges) to Australia for the purposes of effecting a Jewish Divorce, and at the same time establishing the Sydney community on a firm basis. The father of Jewish settlement in New Zealand set sail in 1842 with an official authorisation from the Chief Rabbi to establish a new community in that country, while in South Africa, the community was not regarded as formed until a Scroll of the Law had been brought from London with the Chief Rabbi`s licence. After Hart Lyon left London in 1764 it was agreed that his successor should be appointed and maintained by the Great and Hambro` synagogues jointly. However, they could not agree on a single name, and the Great Synagogue appointed Rabbi David Tevele Schiff, while the Hambro` and New Synagogues appointed Rabbi Meshullam Solomon. Each Rabbi claimed authority over the whole Kingdom, and the problem was resolved only after a split within the community at Portsmouth, then the largest in the provinces. 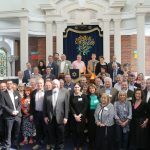 A dissident group of Portsmouth Jewry established a rival congregation recognising the authority of Meshullam Solomon, while the main community formally accepted the authority of Rabbi Schiff in all matters appertaining to Jewish Law and the appointment of officials. They even agreed in token of submission to send five pounds of wax each year to the Great Synagogue, for the manufacture of candles to light that building on the Day of Atonement. 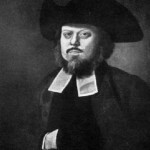 However as early as 1766 the Rabbi of the Great Synagogue began to use and be known by the title "The Chief Rabbi", and when Meshullam Solomon returned to Hamburg in 1780, all communities accepted Tevele Schiff`s authority. Schiff carried on a detailed correspondence with his brother the Rabbi of Copenhagen, which casts an interesting light on Jewish social life in Georgian London, even down to such matters as the purchase of night-caps (white) and handkerchiefs (coloured - Schiff was addicted to snuff)! The economic depression following the end of the American War of Independence led to frequent calls for the reduction of his salary, and while he was often asked to perform Rabbinical services for other synagogues gratis in the absence of their officiants, the fees paid at marriages somehow failed to come his way. A second London Ashkenazi community - the Hambro` - had been established in 1706, and when Hart Lyon was appointed in 1758, the Hambro` agreed to pay part of his salary. 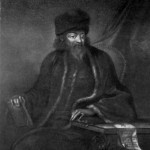 In 1761, a third London Ashkenazi community - the New Synagogue - came into being, and its regulations specifically recognised Hart Lyon`s authority and sought his approval for the appointment of their own spiritual leader. 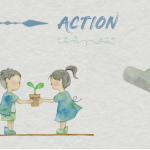 Their action, together with the occurrence of certain problems in the Plymouth community solved only after the intervention of London, marked a significant acceptance of the wider authority wielded by the Rabbinate of the Great Synagogue. 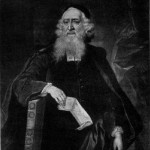 Aaron Hart, whose brother Moses was the lay leader of the community, became Rabbi of the Great Synagogue in 1704, and served until he died in office in 1756. His tenure saw a great expansion in Jewish life in Britain, and the growth of a number of small provincial communities. 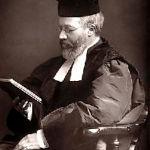 These communities were often served by a single hard-worked official, who referred questions that he felt were outside his knowledge (or perhaps which required greater authority than he was able to wield) to the Rabbi of the Great Synagogue in London. 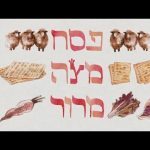 His advice was also sought when appointing shochetim (responsible for the provision of Kosher meat) and other officials, and they looked to him to authorise marriages; both functions are still exercised by the Chief Rabbinate today.